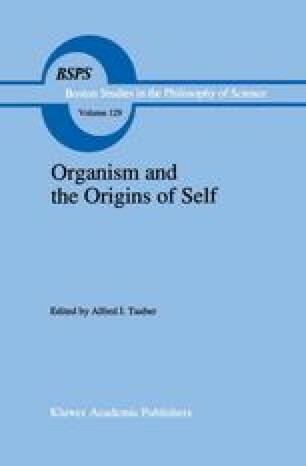 For a haploid unicellular organism, such as Escherichia coli, that reproduces asexually by binary fission, the concept of “self”, or more appropriately, “individual”, may be indistinguishable from the concept of organism. Controversy has arisen in the past about whether and how such creatures maintain themselves as a species since every new mutant that appears could, theoretically, give rise to a clone of unique descendants. Indeed, based largely upon protein electrophoresis patterns it has been estimated that the worldwide population of E. coli consists of only 102–103 such clones . This result implies that E. coli in the wild rarely engage in chromosomal recombination, and that the genetic exchanges that take place via extrachromosomal elements leave chromosomal genes largely unchanged [1, 2]. (However, see Reference 3 for an alternative interpretation).